Having a dinner or a cocktail with a view is, undoubtedly, one of the must things to do when travelling. An amazing morning or night view of a city, combined with relaxation is a unique experience and an ideal to know the place you have travelled to. Since the places with wonderful views are often well kept secrets among the locals, it may be difficult to find such places to add to your bucket list. 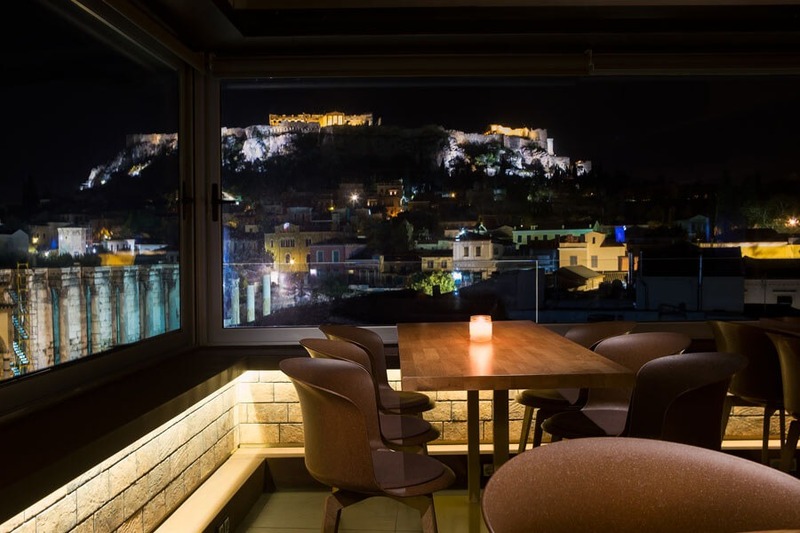 Well…we are problem solvers: We prepared the ultimate list with the best places in Athens, where you can enjoy breathtaking views, as well as delicious food and cocktails! On the 5th floor of the Electra Palace Hotel, you will find an elegant roof garden with a breathtaking view to Acropolis Hill. At the hotel’s award winning restaurant you can taste the most delicate flavors of the Mediterranean cuisine, made of the freshest of ingredients. If you are in a mood for some refreshing drinks and cocktails, then you can enjoy them at the pool bar, at Electra Palace roof top. Find more info here . In the heart of downtown Athens, at Monastiraki Square, there is a very impressive three – floor cocktail bar. 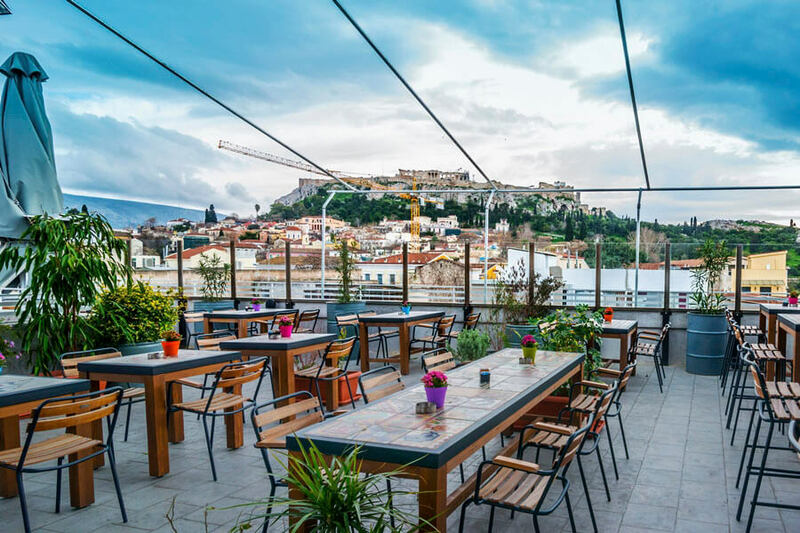 360 Cocktail Bar has a panoramic view to the Acropolis Hill and to Monastiraki Square and it is the perfect location to take mesmerizing photos of downtown Athens. When there, you can enjoy having coffee, wine, Mediterranean food, cocktails and drinks. Find more info here . The roof garden of the Royal Olympic Athens hotel there is your go-to choice, if you are seeking for a gourmet restaurant with a view! The menu consists of dishes with a different approach to the traditional Greek cuisine, that will be beyond your expectations. 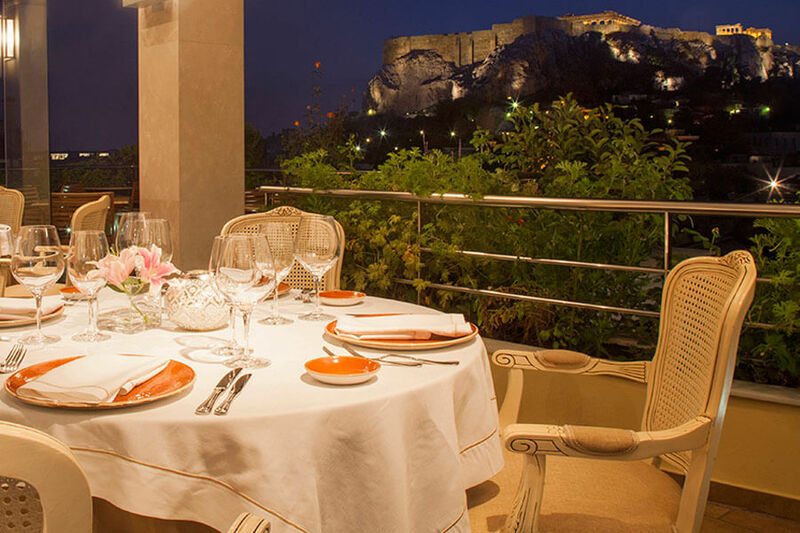 At the same time, you can enjoy, right from your table, a majestic view to famous sites of Athens such as the Acropolis Hill, the National Garden and the Lycabettus Hill. Find more info here . At the rooftop of Kuzina restaurant you won’t be able to decide which one is the best: the food or the view? Located at the picturesque Andrianou Street, Kuzina is an old mansion, hosting a beautiful restaurant, included in BBC’s list with the world’s top 10 restaurants with a view. 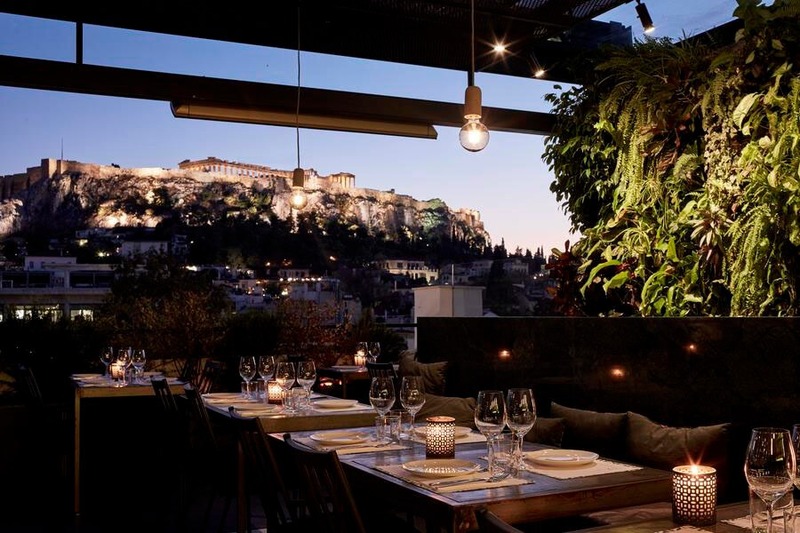 At its rooftop, you can taste the dishes of modern Greek cuisine, while enjoying a breathtaking view to the Acropolis Hill and the Temple of Hephaestus. Find more info here . Located also in downtown Athens, in Normanou street, Couleur Locale is a “secret” cocktail bar. Once you get there and walk down the arcade you should take the elevator to the 3rd floor, as it has two levels. The first thing you will see when you open the lift door is the stunning view of Acropolis. And if you choose to stay a little longer it will not take much time to realize that its carefully selected blends of coffee is only the beginning. You will find a great variety of snacks and well-prepared dishes and the most important…cocktails made by specialized baristas! All the above are masterfully combined by the sounds of jazz, soul and rock n’ roll music played by guest DJ’s. Find more info here . Still unknown to the crowd, The Zillers is a stylish boutique hotel located in the heart of Athens, at Mitropoleos street. 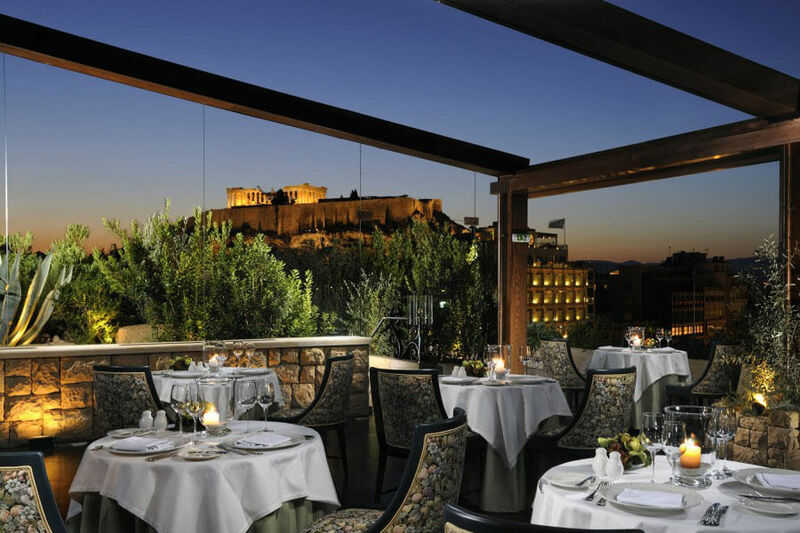 Once you are in its terrace you can enjoy full view of the Acropolis and of the Parthenon. The Zillers is known for its Mediterranean cuisine and its delightful cocktails, making it a must-place for dinning under the candle lights. All visitors agree on one more thing: that its simplicity will captivate you. Its success lies in the skilfull combination of the Greek traditional style with modern decoration and tastes. A big plus is that its location is ideal as you can stop by, after a long walk in the museums and little traditional shops that are located nearby. Don’t miss it! Find more info here . Your options do not stop here, though! 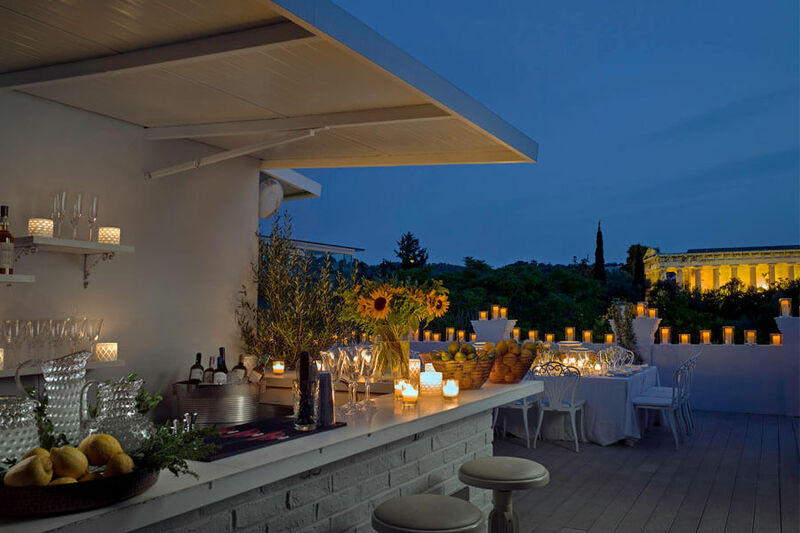 Some other suggestions for wonderful roof – gardens are: Galaxy bar-restaurant – Hilton, Acropolis Secret – Hotel Divani Palace, A for Athens cocktail bar, Terra Petra, Cafe Lycabettus, Loukoumi bar, Anglais cocktail bar, Thea Terrace bar and so many more! These are just some of our suggestions regarding beautiful roof gardens in Athens! Visit Athens as soon as possible and discover even more on your own!